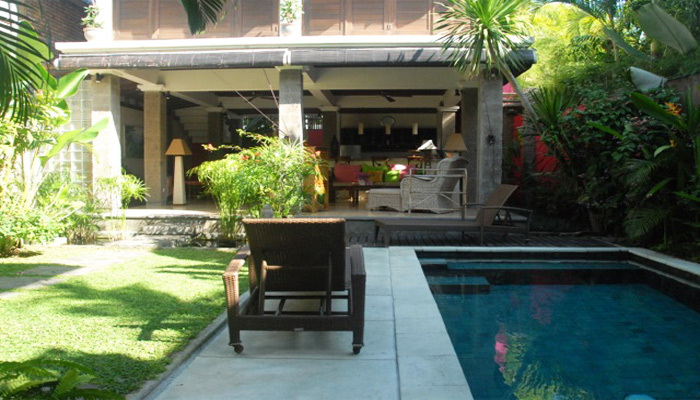 You will discover the Balinese atmosphere when entering this villa. 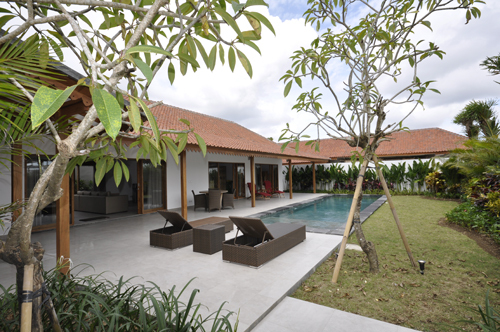 Built on 400 m2, the villa possesses a spacious living area with modern open-space kitchen with adjustable glass door to let you enjoy the breeze coming from the garden. The bedrooms are beautifully furnished with high quality wooden materials, all air conditioned & come with the en suite bathrooms. 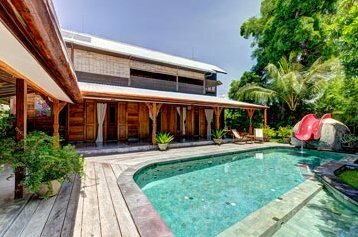 Enjoy the outstanding 12 meter-long swimming pool, framed by gorgeous wooden deck or sipping some refreshment on the sun loungers with the greenery & rice field view. The Batu Bolong beach with its restaurants and bars such as Oldmans, Deus, La Dunia is only less than 10 minutes while Seminyak is in 15 minutes drive.